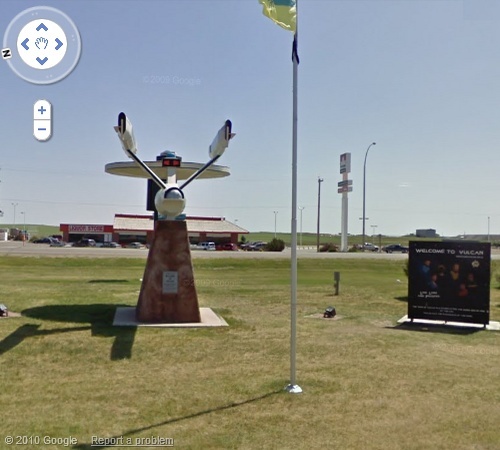 Vulcan, a small town in Southern Alberta, Canada, has become famous amongst the Science Fiction fans all over the World, because coincidently it has the same name as the home planet of the Star Trek's famous character Mr. Spock. 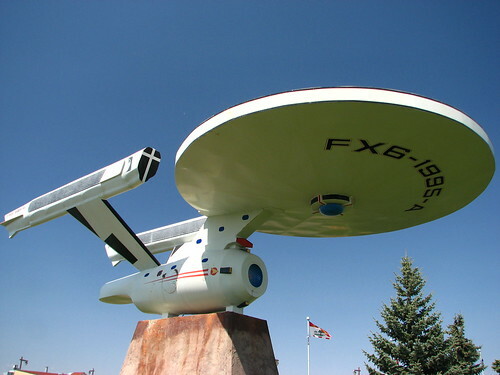 Taking full advantage of its name the town has established a Star Trek-themed tourist station which exhibits Star Trek collectibles and sells souvenirs. 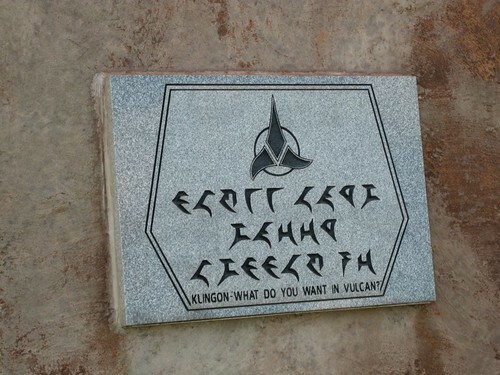 A replica of the Star Ship Enterprise of Star Trek has also been mounted on a pedestal which includes writing from alien languages like Klingon. The space ship built in June 1995 has an overall length of 9.4 metres (31 feet), depth 2.7 metres (9 feet) and total height of 5.8 metres (19 feet). Its saucer has a diameter of 4.6 metres (15 feet) and the base is 2.7 metres (9 feet) high. 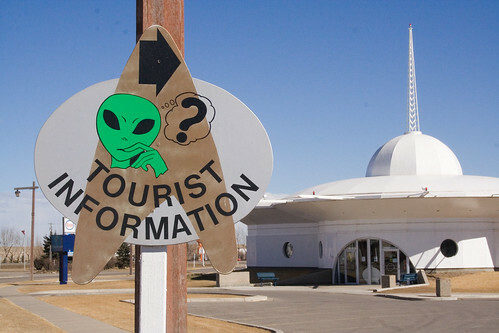 Whole town is dotted with space-themed murals and signs, and hosts an annual community-wide Star Trek convention known as 'VulCON: Spock Days/Galaxyfest' which is held every year in June when Star Trek fans from all over the World come dressed up like the characters from the Star Trek. 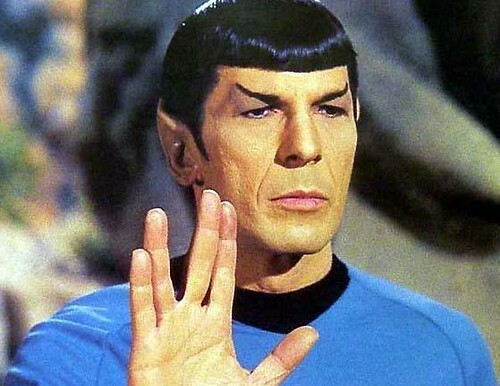 In April 2010 Mr. Spock (The actor Leonard Nimoy) also visited his, so called home town, where he was greeted by horde of fans. 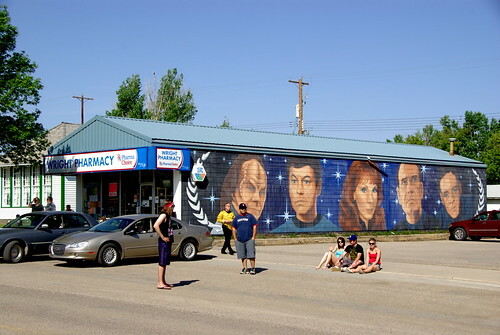 Medical Officers of Star Trek painted on the side of a local pharmacy.